We’re falling back in love with home improvements as a nation. It’s estimated that Britons plan to spend £24.3billion on home improvements this year for a wide number of reasons – perhaps a fancy new front door to enhance kerb appeal, great looking new windows to increase thermal efficiency or a glamorous glazed extension to add living space. 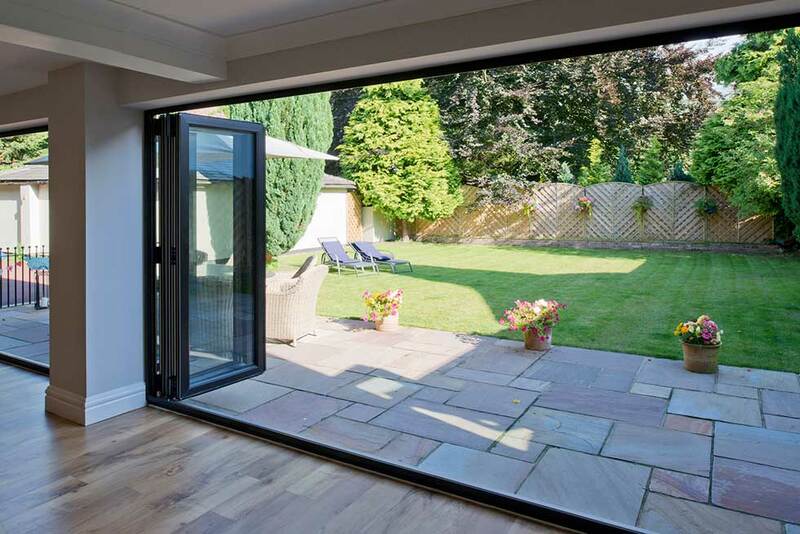 If you’re thinking about doors, windows or glazed extensions, watch our video to hear more from home owners who have recent experience with these types of improvements. It’s so important we find the best tradespeople for the job and avoid falling prey to ‘cowboy builders’. A recommendation from friends and family is usually the preferred route for home-owners and such word of mouth promotion is often the main source of new business for tradesmen and women. But using a recommended supplier won’t always be enough to safeguard the investment you’re making in your property. Finding a reputable company who belongs to a professional association or network can often be the safest solution, for example the Federation of Master Builders (FMB), the British Institute of Interior Design (BIID), the Electrical Contractors Association (ECA) or, for windows, doors and glazed extensions – the Certified Installer Network (CIN). 1. Look for someone who will be a design partner. Often home-owners don’t quite know what they want when they set out on a home improvement project. They have an idea of what they want to achieve but they might not understand the best way to get it. When you talk to companies, make sure they are full of suggestions, above, below and on budget. They need to be talking about the latest technologies, ways to reduce your energy bills and products which are easy to operate and maintain. Look for someone who leaves you feeling fully informed and confident to make decisions in partnership – you can find your local CIN partner here. 2. Be suspicious of estimates which appear too good to be true. They probably are. Avoid getting lulled into a pressure sale – if the salesman calls his boss for a better price, it’s probably time to ask the salesman to leave. 3. Never pay money up front. Make sure you receive a written quotation so the price is clear from the start. Be sure that the quote covers everything from the initial setting up and purchasing of goods, right through to sweeping up the last bits of debris and taking them away (a good tradesperson should leave your property immaculate). If any elements of the job change or you ask for something new once the project is underway, be sure you are given a revised quote so that you don’t end up with an unexpected bill at the end. 4. Look into the associations and schemes of which companies claim to be members. Cowboy builders may claim to be part of a well-known trade association or they may well invent a fictitious membership organisation or government scheme. Some will even go as far as using a bogus scheme’s logo on their website. First check that any memberships are current and then check that the scheme itself is worth its salt. 5. Keep an open mind. Home improvement technology such as glazing is changing all the time, with improved thermal performance at the forefront of the improvement. 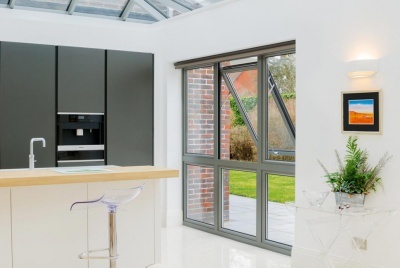 You should ensure that whether you’re having new windows, a new door or even a beautiful glazed extension – your retailer can tell you all about the features and benefits. 6. Be clear about planning permission. Ensure everyone involved knows whose responsibility it is to submit paperwork and liaise with the various planning offices. If you live in a listed property or in a conservation area, the layers of required permission may be complex, with various organisations involved. To keep things as straightforward as possible, look for a builder or installer who is approved to carry out the work to comply with building regulations without involving your local authority building control – once the work is completed they would simply send you a certificate showing the work has been done by a registered installer. 7. Get a commitment around timescales. The classic cowboy builder will let dates slip back, allow a job to drag on and perhaps never complete the work. A good tradesperson will understand you need to be able to plan your life around a specific start date and will provide you with a work schedule – he or she will also be a good communicator, making sure you are fully aware of any updates to the schedule. 8. Establish what level of disruption you should expect. Your chosen tradesperson should be clear about what precautions will be taken to protect your house and belongings, such as covering items with dustsheets and protecting the carpets by wearing covers over their shoes or creating temporary walkways. You also need to be advised when it might be best for you to be out of the house, for example when the heating will need to be switched off, perhaps the water will be turned off or there might be brick dust flying around. A good tradesperson will also alert you to any hazards around the property, in particular equipment or material left on-site which might be dangerous to children. 9. Establish what types of insurance and guarantees are in place. Even more important is who is offering the guarantee and how long for – it may be a 20 year guarantee, but if your tradesman goes out of business, then it will become worthless. The best thing to look for is an insurance-backed guarantee, only then can you have complete confidence. Thanks for sharing this article with us. It was very helpful. Also, it inspired me to beautify my home all the more. The pictures were perfect! I love them! Nice tips. Presenting a clear schedule, fixed prices and no hidden charges are a must talk with the building company. I would like to suggest having a pre talk with a specialist who would determine the procedure and point out everything that has to be done is quite important.